Among the points he discussed in “My Journey: A Political Life” is the fact that Tony Blair drank more than was usual as a means of coping with the pressure of being Prime Minister. The pressures of holding a top job are immense. One of the ways that leaders deal (aside from self-medication) is walling themselves off from their feelings. But those leaders who are self-aware do themselves and their followers a service by being honest. 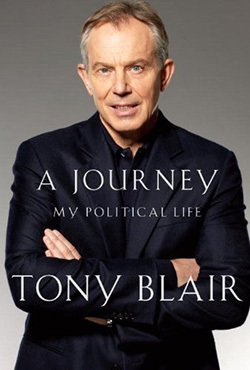 Tony Blair released his long-awaited memoir this month. pressure of being Prime Minister. their followers a service by being honest. Here are some suggestions. about what you have done and can do in the future. leaders be seen and heard. leadership on what is important to stakeholders. one’s self is always welcome, if only shared with yourself.